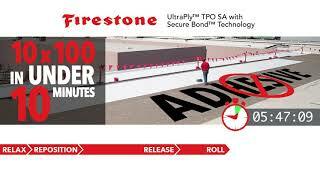 Firestone UltraPly™ TPO SA with Secure Bond Technology is a revolutionary self-adhereing membrane with factory-applied, pressure-sensitive adhesive that greatly increases the number of square feet that can be installed in a day, enabling contractors to finish jobs more quickly and get to more jobs in the year. 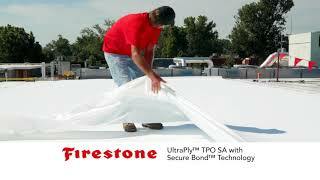 Installs up to 4x faster than the standard fully-adhered application. Zero odor and no Volatile Organic Compounds(VOCs). may be eligible for 30 year warranty.